A laboratory setup has been constructed to generate expanding shock waves in air using exploding wires. High-speed schlieren video is captured to characterize the shock fronts. 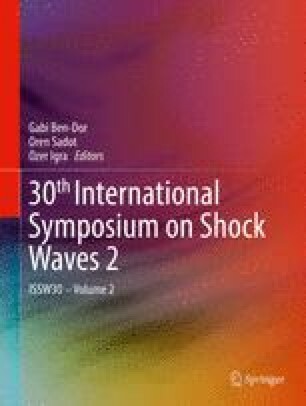 Current work aims to validate the system with single exploding wires, after which multiple exploding wires will be used to study the interaction of the shock waves. Preliminary results confirm the system is able to generate expanding shocks. Wires of diameter 0.15 mm have generated shock waves with Mach numbers of 1.3. Following further testing of the system, multiple exploding wires will be used to study the interaction of the shock waves.